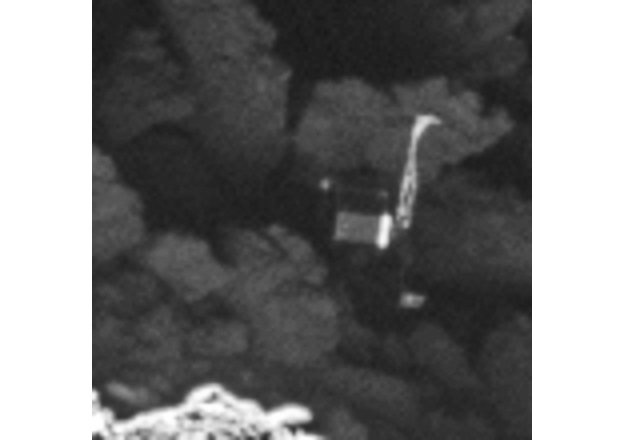 Close-up of the Philae lander, imaged by Rosetta's OSIRIS narrow-angle camera on 2 September 2016 from a distance of 2.7 km. The image scale is about 5 cm/pixel. 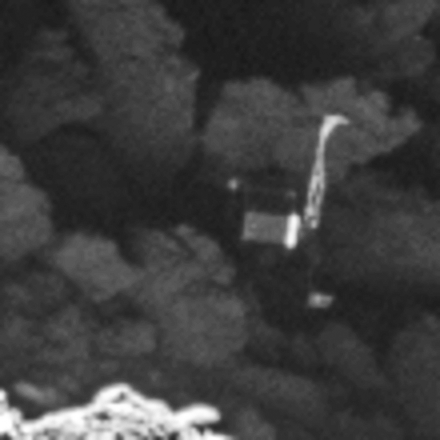 Philae's 1 m-wide body and two of its three legs can be seen extended from the body. The images also provide proof of Philae's orientation. The image is a zoom from a wider-scene, and has been interpolated.